The Megahoot Retail Rewards Program was developed in order to give retailers and brands a way to reward their customers beyond their own business. It gives customers a reason to shop with them as these are the only places that a customer would be able to receive this particular reward. There are numerous benefits for both retailers and customers. The benefits for online and in-store retailers is that this is at zero cost to them, they can offer customers a way to accumulate Megahoot Coins to offset their next purchase at that retailer or other participating Megahoot retailers and as opposed to the customary discounts that a retailer would give to attract customers they can offer this alternative partial payment. The retailer then has the ability to use those Megahoot Coins within the Megahoot Ecosystem even potentially liquidating then on a peer to peer basis. 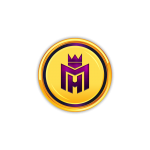 The benefits for customers is that they would be able to use their rewards elsewhere beyond that brand/retailer for discounted prices or potentially trade it for fiat currency on a peer to peer basis within the Megahoot Vault. It brings a true element of what a reward should allow a customer to do and that is to actually use it. It also breeds loyalty to the brand or retailer because the customer knows that they are actually getting something tangible in return for their patronage that they cannot get anywhere else. Additional customer benefits will be the ability to use the Megahoot Vault and all its features from the escrow system, safety deposit box, in system messaging and soon the digital document storage and execution platform.